If you are looking to travel light and live big then a Jayco Jay Feather 7 travel trailer or expandable is what you are looking for. You will enjoy easy towing and easy living with the ultra-lite camper that is heavy on features, such as, LED lighting, a Simmons mattress, plus Teddy Bear 'soft touch' bunk mats. 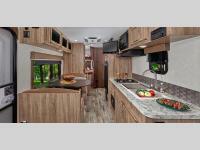 From the homey features to the appealing decor styles, a Jay Feather 7 is your ideal home on the road. 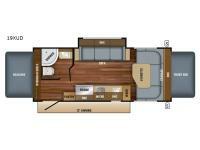 With several models to choose from, you are sure to find the perfect fit for your next trip. So when it is time to get-up-and-go, choose a Jay Feather 7 travel trailer or expandable by Jayco for your next fun filled camping adventure!